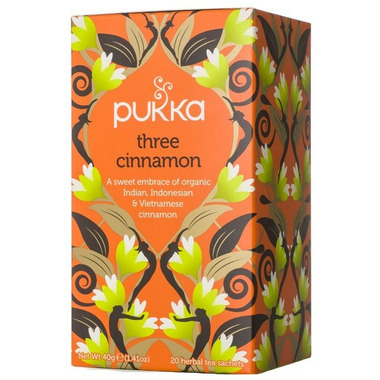 Three Cinnamon tea captures the swirling glow of cinnamon - nature’s suntrap. Bask in the spicy sweet-heat of the world’s finest three cinnamons from Indonesia, Vietnam and India and feel their warm embrace filling you with life. Uncle Lee's cinnamon tea is a lot better tasting and a lot cheaper too do not bother buying this one .there is almost no flavor to it a waste of money it's like soaking cinnamon sticks in water. It would give you about the same bland flavor! I love this tea! it's delicious and perfect for a cozy winter day. cinnamon also helps manage blood sugar levels, so it's super healthy!